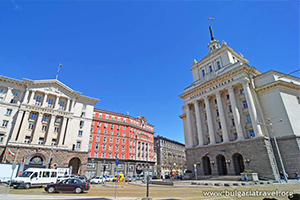 Sofia is Bulgaria’s biggest city and one of Europe’s most compact capital cities. 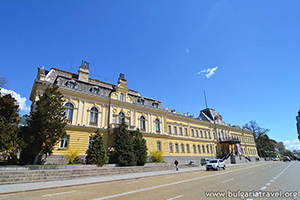 A lot of business tourists visit Sofia as well as travelers heading to the Black Sea or the ski resorts such as Bansko and Borovets near the town of Blagoevgrad. 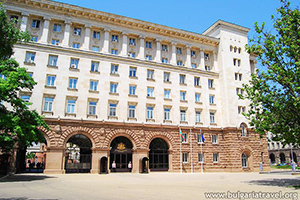 Sofia became preferred business destination for big corporations and investors during the last years and confident cosmopolitan European capital. In the streets of Sofia you can see next to the remains of Bulgaria’s long history, fancy shopping malls, five-star hotels and some of the best bars and clubs the country has to offer. Sofia is also vary green city - parklands within the city boundaries and the ski slopes and hiking trails of mighty Vitosha Mountain right on the doorstep. Sofia is nevertheless an attractive tourist destination and cultured city with plenty to keep you browsing for several days or more. It has developed very quickly over recent years, and if you are planning to visit the city you will enjoy the trendy international boutiques, hotels and casinos as well as the museums, art galleries, theaters, fine restaurants and clubs, you can find them all here. 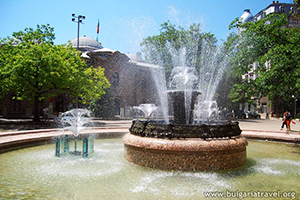 Sofia, the capital of Bulgaria, is situated in the western parts of the country at the foot of Vitosha Mountain (150 km from Plovdiv, 445 km from Varna and 390 km from Burgas). The city is the major one and represents a symbol of the economical growth, the deep in time history and the cultural remnants of different ages. All over the city there are buildings from variant epochs – from old houses from the Ottoman Empire to brand new business buildings, from large luxurious malls to the small markets in the neighborhoods. Sofia can be perceived as a puzzle of modern and antic concepts in its architectural structure. The city can be enjoyed in many ways and can satisfy the needs of a travelling businessman and of visitors without any problems. For the gourmets there are plenty of restaurants and their menu offers several types of foreign cuisine. The Italian and Chinese cuisines are easy to find all over the city, meanwhile the Turkish, Indian and Serbian cuisines are not so popular, but yet there are several restaurants with rich menus and skilled chiefs. Of course, the Bulgarian cuisine is not to be forgotten, and it’s not only about the food, there are few drinks too that are typical for this nation – "rakia" and "boza". After a fine dinner, there’s always the chance of tasting the nightlife in Sofia. It can be enjoyed to the fullest in one of the many clubs and discos. The choice of music is wide – some discos are enormous and hold several halls with different type of music, others have a program for every night of the week and the last ones never cheat on their chosen style of music. There are salsa schools that sometimes expand their work in some discos, and then there are the rap bars, the rock and metal pubs, retro discos and trance halls. The most played music however is the Bulgarian folk that is also called “chalga”. For the people who aren’t so much into the nightlife and who prefer a calm stay in Sofia, there are plenty of museums like the National Historical Museum, the Bulgarian Natural History Museum, the Museum of Earth and Men, the Ethnographic Museum, the National Museum of Military History, the National Archaeological Museum; and then some galleries: Sofia City Art Gallery, the Bulgarian National Gallery of Arts, the Bulgarian National Gallery for Foreign Art. 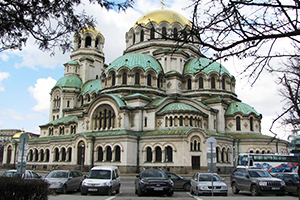 For the antic taste of streets of Sofia help many old churches – St. Nedelya Church, a Russian Church, Hagia Sophia Church, Alexander Nevsky Cathedral, there’s a public bath, and remnants from the Romanian Empire. For those interested in the active side of life, Sofia offers several stadiums, a winter palace, a Museum of Sport, a horse-riding academy and tennis courts in the heart of the city, and skating rings during the winter. Being surrounded by mountains, Sofia is therefore surrounded by different winter resorts. The most famous resorts are Bansko, Pamporovo, Borovets. Vitosha park, the Borisov garden, the South Park and the Panchareevo Lake on the other hand are favourite places for many metropolitans to spend the weekend at. These are locations where people can have picnics, play football or badminton, sunbath, relax. Another beautiful place is the Ariana Lake at the Borisov garden, where in the winter you can ice skate and in the summer you can take a tour around the lake with a water wheel. 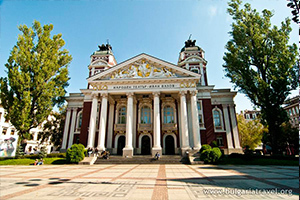 In the past few years the Bulgarian capital hosted various festivals like Earth Sky Veggie Pie, Vola Open Air Sofia Film Fest, Mellow Music Festival, Nothing like before Fest (which started this year), Sofia Dance Week, Sonisphere Festival etc. The Sri Chinmoy Centre in Sofia every year take out their Chariot of light and make a trip across the pedestrian streets, surrounded by flowers, “music of the soul” and admirers of that philosophy course. No matter the cause and time of visit, preparations should be made and the most important of them is checking the cultural events during the planned stay in Sofia.